WeAreTheCity and Morgan Stanley recently partnered to hold an innovative event on creating and supporting technology role models. As an industry, IT is crying out for more “real life” female role models at all levels, so in a speed networking style event format, not-for-profit organisations, who are supporting the growth of women entering the technology industry, were asked to share what opportunities are available and how to get involved. Have you ever wondered how do I become a tech role model? The technology industry is full of potential role models, yet many women believe they have to be a “super woman” to deserve the title of “role model”. Whether you feel comfortable speaking at a school assembly, running an after-school club, sharing expertise via Skype or mentoring a fellow female technologist, we aimed to offer something for all aspiring role models at the event. If you missed the event you can still get involved with the work that the not-for-profits do. Below you will find all of the not-for-profits who were present and the type of work they are involved in. 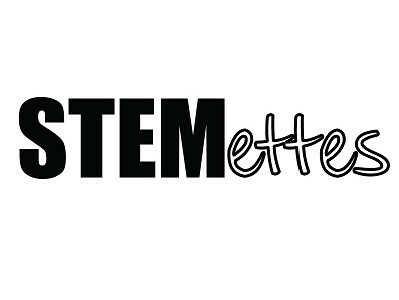 Stemettes – Girls’ not-for-profit Stemettes has a mentoring programme called Student to Stemette. The programme aims to support young women of 15+ in building careers by giving them access to dedicated science, engineering, technology and maths (Stem) role models. TeenTech – TeenTech runs lively events with a supporting Award scheme to help young teenagers see the wide range of career possibilities in Science, Engineering and Technology. TeenTech has several mentoring opportunities for volunteers interested in joining its mission. BCSWomen – BCSWomen is an active and lively specialist group that provides networking opportunities and support for all women working in IT around the world. The Group’s main objective is to provide support for female IT professionals, as well as mentoring and encouraging girls and women to enter IT as a career. CompTIA – CompTIA’s Dream IT is part of the organisation’s Advancing Women in IT Community. The programme is reaching 10,000 people this year through a selection of resources to spread the message that IT is a great place for women and girls. They aim to introduce young women to the satisfaction of science, technology, engineering and math. Aimar – The Aimar Foundation has been founded to help charities achieve their aspirations through the smarter use of technology. Various projects throughout the year need volunteers to help set up charities IT equipment, providing a technology infrastructure and support. Code Club – Nationwide network of volunteer-led after school coding clubs for children aged 9-11. Code Club creates projects for volunteers to teach at after-school coding clubs or at venues such as libraries. The projects teach children how to program by showing them how to make computer games, animations and websites. Volunteers go to their local club for an hour a week and teach one project a week. Code First Girls – Code First: Girls are a social enterprise that currently have 700+ young women enrolled on programmes and learning how to code. Over the past 18 months we have had 3000+ young women participate in one of our courses or events and have helped companies to recruit better tech talent into their firms. FutureFirst – Future First’s vision is that every state secondary school and college should be supported by a thriving, engaged alumni community that helps each one to do more for its students. Through FutureFirst you can regain contact with your school to inspire the next generation. Socitm – Society of Information Technology Management, promotes the effective and efficient use of Information Technology in Local Government and the Public Sector. Socitm has a tailored programme of coaching and mentoring that accelerates the leadership development of future and high potential leaders in the Public Sector, provided on an individual basis. Inspiring the Future – Inspiring the Future connects state schools and colleges with employers and people from the world of work. Volunteers pledge just one hour a year to volunteer in a state school or college near where they live or work to talk to young people about their job and career route or volunteers can find out more about the benefits of becoming a school governor. 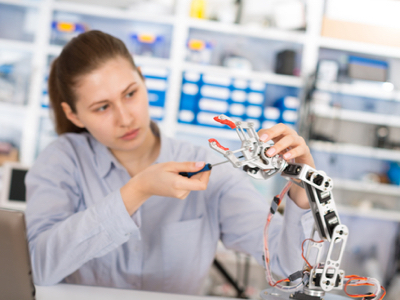 Your Future Your Ambition – YFYA partners with some of the UK’s largest and well known STEM organizations with the aim of inspiring the next generation of STEM talent, promoting the value this brings to organisations. YFYA has now held five annual events and inspired over 2800 students. Color in Tech – She has co-founded “Color In Tech” to help increase race and gender diversity within the UK Technology sector. Color In Tech is an organisation that connects high potential ethnic minorities to top technology companies, startups and venture capital firms in the UK and Europe with an Asian expansion on the horizon.